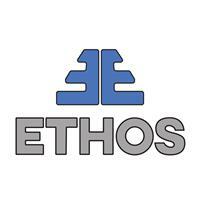 Ethos Electrical Solutions - Electrician based in Leatherhead, Surrey. We are experts in interior and exterior lighting, using the latest and greatest in LED technology we can light up almost anything in every colour imaginable. Not only that but we are more than capable of any general electrical task. We undertake all types and sizes of work, domestic or commercial - from rewires, to minor alterations and everything in between. Also, as you might notice from our photos, we can accommodate for when someone requires that something "unique". If you are looking for the complete package to give your home, office or business an edge, look no further - yes, we can wire your sockets but we also specialise in creating cost effective lighting and audio/visual solutions. We are based in Coulsdon and aim to cover the majority of London and the South East, so please do not hesitate to contact us and a member of our team will be with you shortly. "Exceptional workmanship at highly competitive prices."